In the summer of 1982, during the Galilee War, Golan Heights settlements faced the disastrous prospect of losing their entire agricultural crop. Many able-bodied settlers were called up for army reserve duty and entire farms, with crops already ripened, were left unattended. General Aharon Davidi, the former head of the I.D.F. Paratroopers and Infantry Corps, was then directing the Golan Heights community and cultural activities. Prompted by the settlers’ distress, he sent a number of his friends as a recruitment team to the United States. Within a few weeks, some 650 volunteers arrived in Israel to lend their support through their volunteer labor. With a strong sense of accomplishment those first volunteers suggested that the volunteer project be perpetuated. 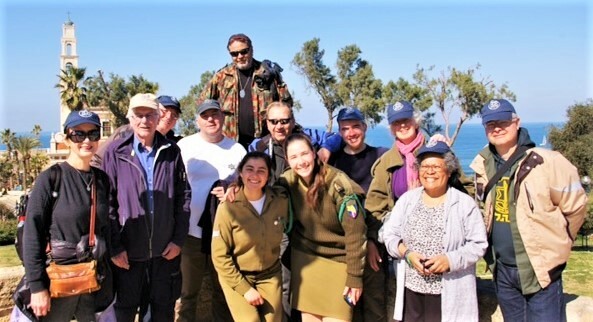 As a result, in the Spring of 1983, “Sar-El” – The National Project for Volunteers for Israel – was founded as a non-profit, non-political organization (“Sar-El” is the Hebrew acronym meaning “Service for Israel”). Over the years, volunteers came from countries around the world to work in the project. Currently Sar-El is represented in over 30 countries worldwide. Watch a Sar-El Video and see other pages in this section for information and forms.